Born with 5% sight in her left eye and a never say die attitude, Amanda never let negative predictions get in the way of achieving her personal best. Amanda first competed in Masters competition in 1997, in middle distance events and has won several National and Masters Games titles over 800m. Having 39 years of running in her legs and being a Level 2 Accredited coach with Athletics Australia she now realizes the importance of the quality of training and the value of recovery. Her most memorable meet was winning two bronze medals in the World Masters Games in Melbourne in 2002 in the 800m and 2km steeplechase. 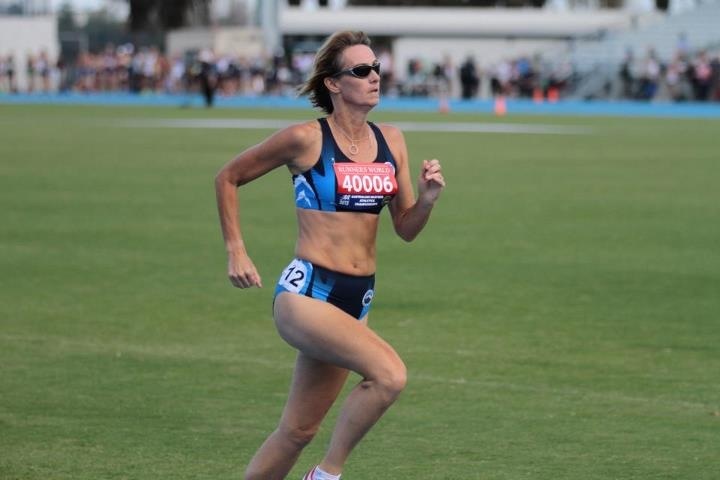 She currently holds the Australian indoor 800m record in the W40 age group. Away from the track Amanda is a successful business woman having been a National Finalist in the Telstra Women’s Business Awards.